this could be worthy of ‘stickying’ in the help section perhaps? - Gore Ride-On Cable Systems - GORE Low Friction Brake Bicycle Kits (Black Kit and White Kit). The cable system is designed for Campagnolo® brake systems. SR Suntour Suspension Forks (Chinese made) 17,000 recalled for GT, Giant and Trek. The front strap hanger moulded in to the helmets may crack or become dislodged causing the helmet to come away from the head. There is a possibility that the helmets may not provide adequate protection to the wearer in the event of an accident and may increase the risk of injury to the wearer. The problem effects the plastic tow hitch. Our trailer was effected. Burley are sending me a safety strap which corrects the problem. They’ve sent me a 20% promo code too. Anyone who wants it can PM me. every zipp front hub made i the last 7 years. And the skewers. Got an email about it about a month ago. Im thinking this is a little bit fucked as I used those skewers for a year and a half or so. Anyway, my fault being a wanker wanting to run WW ti skewers. Good thread btw, didn’t know it existed. Might not be the right thread, but this is the closest to ‘warranties’ that I could find. I got one of those ‘loose pedal threads on a carbon crank’ situations. SRAM Force22. 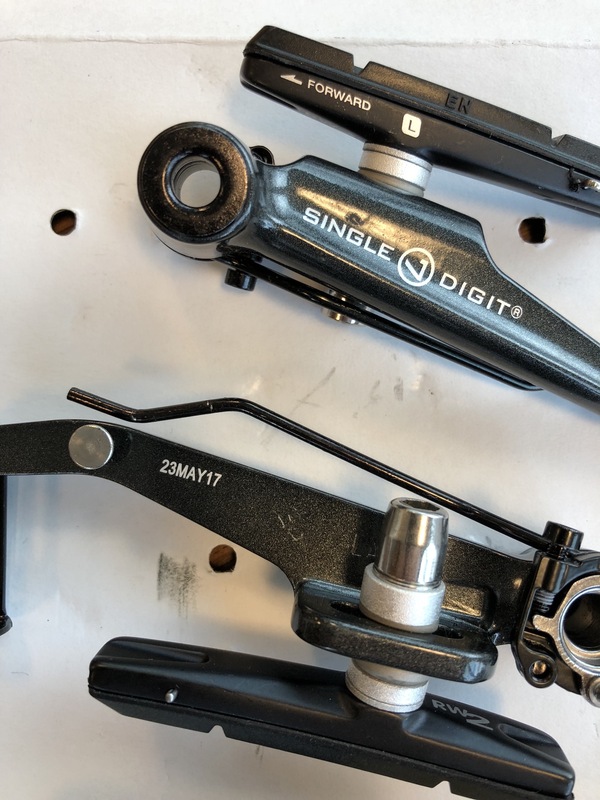 Did SRAM acknowledge their faulty cranks or did I imagine that? Was going to give them a call during the week, but wanted to know if anyone here has had any luck with warrantying cranks with faulty pedal threads? They are just under 3 years old, and after poking around their website, they only say that they have to adhere to Aust Consumer Law regarding ‘reasonable lifespan’ of products, which I do not reckon <3 years would qualify as reasonable… Thoughts? Affects brakes stamped with a date code 01JUN14 and 26MAY17. I had a pair affected from 2015. Got them replaced. But the replacement set is also subject to the recall. So back I go again. Not painful at all. Take them into your LBS and they will get SRAM to send out a replacement. I dropped mine off at Cecil Walker on Elizabeth St and had replacements from SRAM within a day. Also, turns out that the 23MAY17 replacements I got are ok, despite having a code within the recall range. SRAM assures me they are the updated version and ok to ride. Keep that in mind dalli as you’ll probably get the same batch replacement - it’s all they have in the country. Yo MikeD, will Good Cycles do this for me? Thanks for the heads up on this diddy, MikeD sorted me out with new brakes and one of Lucy’s old brakes had actually started to fail.